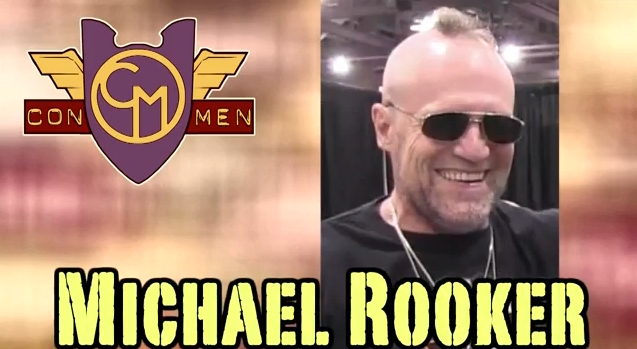 As you already know, our very own Michael Rooker joined Rex Sikes for a chat yesterday. Since they are great guys, everyone was invited to join the live-chat. It was an awesome event for the fans who had the chance to enjoy some live time with Michael. However if you were one of the less fortunate and you missed the live event, don’t feel left out – check out this link over here and you’ll get the chance to listen to their chat . Rex pointed out something that we all knew for quite a while – Michael portrays some pretty nasty characters, but in real life he is quite the nice man. If you are one of the few people who have never heard of Michael Rooker (and still you landed on our page) this interview will provide some great insight as far as his acting roles go and how different he is from the characters he plays. Michael went a bit in-depth with stories from the set of The Walking Dead and his character Merle Dixon, alas, he didn’t really provide us with any earth-shattering spoilers. I was hoping for a slip up, but I guess he is to much aware of what comes out of his mouth. With a full chat-room, fans had a chance to take turns with questions and trust me, between them and Rex we found out quite a lot about Michael, his life and his career.No more spoilers, go and listen for yourselves. Make sure you follow @michael_rooker, @rexsikes and @rookeronline on Twitter for the latest news on all things Michael and all things entertainment. I had no idea Middle America would be so willing to accept zombie heads exploding on their television sets! It makes me very happy because I’ve been ready for something like this for a very long time! The Con Men somehow managed to catch up with Michael at Phoenix Comic Con this past weekend to talk about life after Merle Dixon. 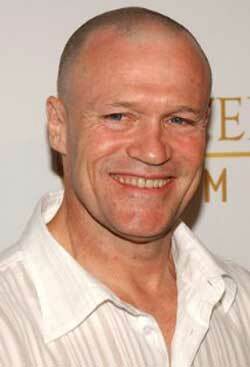 Previous post Rooker Does BlogTalkRadio with Rex Sikes!